TO OUR VERY GENEROUS OKTOBERFEST SPONSORS! SAVE THE DATES FOR THIS YEAR&apos;S OKTOBERFEST! Oktoberfest is a lively and entertaining street festival, fundraising event, and health fair at Holy Name of Jesus Catholic Church. 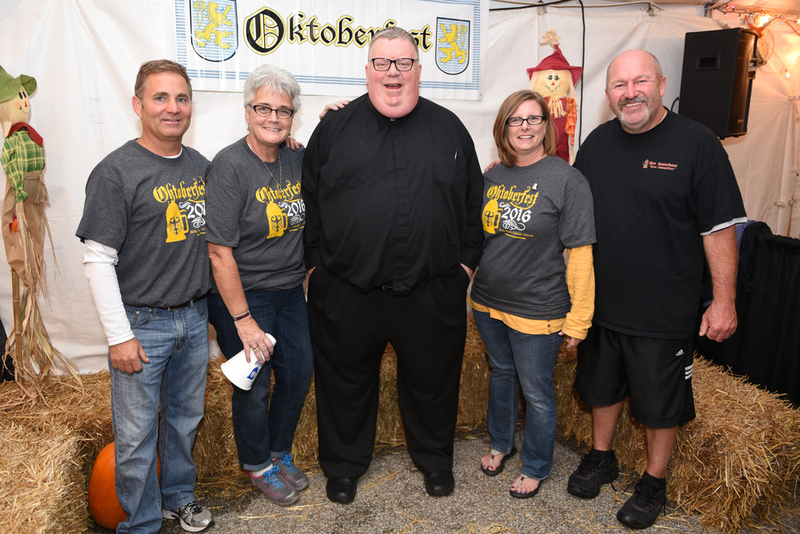 In the heart of the Beech Grove community, Oktoberfest draws over 3,500 revelers, families, and friends from across the Indianapolis area with a weekend devoted to food, fun, and fabulous prizes. GROOVE WITH LIVE MUSIC FROM GREAT LOCAL BANDS! VISIT WITH PROFESSIONALS AT THE HEALTH & SAFETY FAIR! YOUNG ONES CAN ENJOY FUN GAMES, INFLATIBLES, A PLAYGROUND, AND PRIZES! DIG INTO DELICIOUS AUTHENTIC HOMEMADE GERMAN FOOD! SAVOR FANTASTIC CRAFT BEERS AND WINE IN THE OKTOBERFEST BEER GARDEN! For over a hundred years, Holy Name has been a sanctuary of strength and hope by providing faith-based services and quality education for Catholic and non-Catholic communities. Oktoberfest supports vital legacy programs that improve the lives of parishioners, teachers, students, neighbors, and friends. Contributions to the Oktoberfest support Holy Name&apos;s missions to promote the continued health, happiness, safety, and success of multiple generations of Hoosier families. We are committed to making EVERY DOLLAR of donations a meaningful gift. "The Holy Name Oktoberfest is more than great food and music. It offers a wonderful setting for area residents to get free healthcare. Your safety and health is important. We invite you to join us for a free assessment and an opportunity to speak to a professional about your personal health." For the third year, Oktoberfest will include a Health & Safety Fair, benefiting everyone from children to the elderly with over 30 free health screenings, such as blood pressure checks, asthma evaluations, and dental exams, as well as providing information from local nurses, doctors, and senior/assisted living and rehab providers. "We are excited by the opportunity to serve local residents through the Health and Safety Fair. Oktoberfest is a great place for safe and fun entertainment, and a free and easy way to connect with healthcare providers." "Oktoberfest supports the important relationship between student health and successful learning. Healthy kids come to school ready and able to do their best."